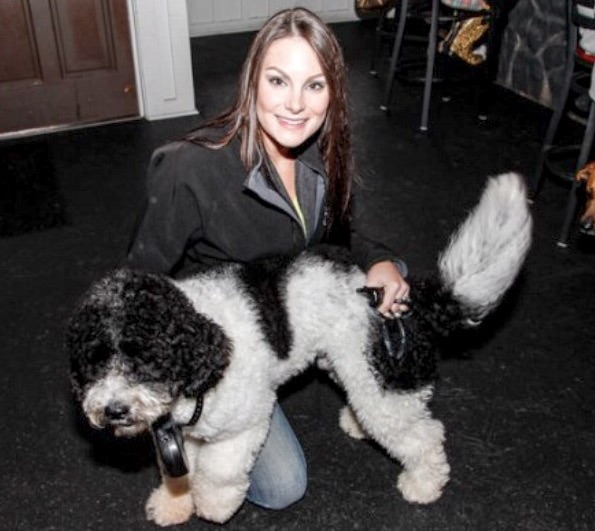 Allison has been with the Lucky Dog Family since the beginning of 2014. She is one of the friendly faces you and your pup sees when you come to Daycare or Boarding at our Lake Norman location. So many of you love seeing her and trust her completely with your pups so we wanted to make sure that we featured her this week on our employee spotlight. We are beyond grateful to Allison for her hard work and dedication over the years to making Lucky Dog a safe and fun place for your pups. She is one of the many reasons we consider our staff family! What’s your favorite movie? Picking A favorite movie is impossible for me, I have so many! I will say older movies are my favorite. One Flew Over the Cuckoo’s Nest, It’s a Wonderful Life, Casablanca, American Graffiti… I really could go on and on. And anything Stephen King has written and was made into a movie. What’s your favorite holiday? St Patrick’s Day….. green beer, duh! What makes you love what you do? Being able to help both dogs and people means a lot to me. Knowing that I am part of improving quality of life for the dogs and giving a piece of mind to the owners is very heartwarming and gives me all the motivation I need. When did you first become passionate about dogs? I have always been passionate about animals in general. Dogs tend to be much more emotional than other animals. You can see the appreciation and love in their eyes, which in return gives me appreciation and love for them. What is your favorite thing to drink? After I stopped drinking soda when I was 18 I strictly stuck to water mostly, healthy drinks with pure juices and healthy additives. Other than that, I love IPA’s and a good margarita! Where is your favorite place to vacation? Florida Keys, nothing beats clear blue saltwater! Why is Lucky Dog a HAPPY place for you? Having the privilege of working with dogs, caring for each and every one of them truly makes it a happy place for me. No matter what kind of day I have been having or how I am feeling, there is always something that makes me smile and laugh. I love what I do!